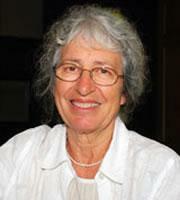 Dr. Sylvia C. Chard is professor emerita of early childhood education at the University of Alberta, Canada. She has worked at the University of Alberta since 1989 where she was director of the Laboratory School, the Child Study Center, in the Department of Elementary Education. Dr. Chard taught at various levels in schools from preschool through high school in England. She completed her MEd and PhD at the University of Illinois at Urbana-Champaign. Dr. Chard is coauthor with Lilian G. Katz and Yvonne Kogan of the book Engaging Children's Minds: The Project Approach. Since her retirement from the university in 2003, she has been engaged in consulting work with teachers in many parts of the world. Her book coauthored with Yvonne Kogan is From My Side: Being a Child. "From My Side: Being a Child is a beautiful, illuminated photographic essay on children from many lands interacting with their environment and learning each day. The reader is encouraged to consider each idea presented from the child's viewpoint. From My Side: Being a Child is a moving experience...the pictures speak (volumes) for themselves."